Born in Macclesfield, Cheshire, Lowe was educated at Warrington British School followed by a BSc at the Manchester campus of the Victoria University (now the University of Manchester). He began his career in 1891 as Assistant in Warrington Museum and was appointed Curator of the Plymouth Museum and Art Gallery in 1901. During the preparatory visits for the planned 1907 British Association for the Advancement of Science in Leicester a number of key members of the Leicester Corporation’s Museum Committee and of the Lit. and Phil. met Lowe in the Plymouth Museum. All were extremely impressed by the way in which with very limited resources he has modernised both the displays and the educational work of the museum and art gallery, and encouraged him to apply for the position of Curator on the Leicester Museum, which was about to become vacant with the retirement of the long-serving Montagu Browne. 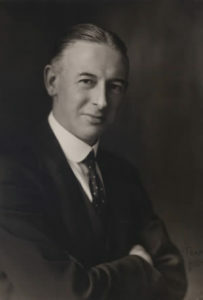 Lowe was appointed in 1907 and in 1918 his responsibilities were extended to cover libraries as Director of Museums, Art Gallery and Libraries in 1918. He remained a leading figure in the Leicester Museums and Art Gallery, the Lit. and Phil., the town and nationally for 37 years through to his retirement to Westbury-on-Trym, near Bristol, in 1940. He also carried through two major remodellings and extensions of the New Walk Museum, and the restoration and opening to the public as branch museums of The Guildhall, Belgrave Hall and the Newarke Houses. Among his innovations was the establishment (and teaching himself) in the Museum between 1914 and 1918 of London University science courses to Inter.BSc./1st MB level – the first university-level teaching in Leicester. This initiative was strongly supported by the Lit. and Phil. and help to demonstrate the need for creating a university college in Leicester, something that was achieved in 1920. In 1925-26 he undertook an extended study tour of American museums on behalf of the Carnegie United Kingdom Trust. Lowe’s Report on American Museum Work (1928) was highly influential in highlighting the great progress that American museums had been making, especially in relation to museum education work, during the long period of stagnation in Britain during the First World War and its aftermath. One immediate result was the establishment by him of the UK’s first modern-style Schools Museum Service for Leicester and adjacent areas of the county with financial support from the Carnegie Trust and the City and County Councils. This became a model for similar developments across Britain, beginning with Derbyshire in the 1930s and the National Museum of Wales in 1947, both of which were assisted directly by Leicester. Another area pioneered by Lowe was the active involvement of a local museum in archaeological excavations and recording, professionalised with the excavations of the Jewry Wall site under the direction of Kathleen Kenyon between 1936 and 1938, and the appointment of a specialist field archaeologist in 1939. Nationally Lowe was very active in the Museums Association, serving as Secretary from 1908 to 1918, Treasurer from 1918 to 1921, and President for 1922-23. Locally he was involved with many local societies including the Leicestershire Archaeological and Historical Society. However, his most substantial contributions were to the Lit. and Phil. and particularly its Geology Section and the several natural history Sections that existed in his days. Trained in detailed geological mapping by Dr. Frederick Bennett (Lit. and Phil. President 1904-05) who had himself been trained along with some other Geology Section members by Charles Fox-Strangways of the Geological Survey, Lowe carried out a number of substantial geological field projects, most notably studies in the ancient rocks of Charnwood Forest: he gained a London University PhD for part of this work and his successful thesis was published by the Lit. and Phil. as The igneous Rocks of Mountsorrel (1926). If I did not believe in education, then I could not believe in the Museum, for undoubtedly one of the institution’s chief functions is to educate our citizens to a knowledge of and sym­pathy with the many subjects it embraces, as well as to advance the boundaries of knowledge. It has been said that the civilisation of nations varies as the quality of their museums, and that a visible index to the intellectual and moral advancement of any community is offered by its Museum. If the Museum really takes the form of a concrete expression of the achievements of the community the statement may well be perfectly true, and I hope the Literary and Philosophical Society will see to it that our Museum speaks always of high attainment. Presidential Address: E.E. Lowe The Society and the Museum Transactions of LLPS Vol. 24 (1923), pp. 5 – 20.